The Holiday and the Carnival season- all over Europe and the Globe is about to start and I feel the urge to introduce you to a creative, fantastic scheme of people and children I follow lately- and a cause to embrace with true interest, all of you design aficionados. 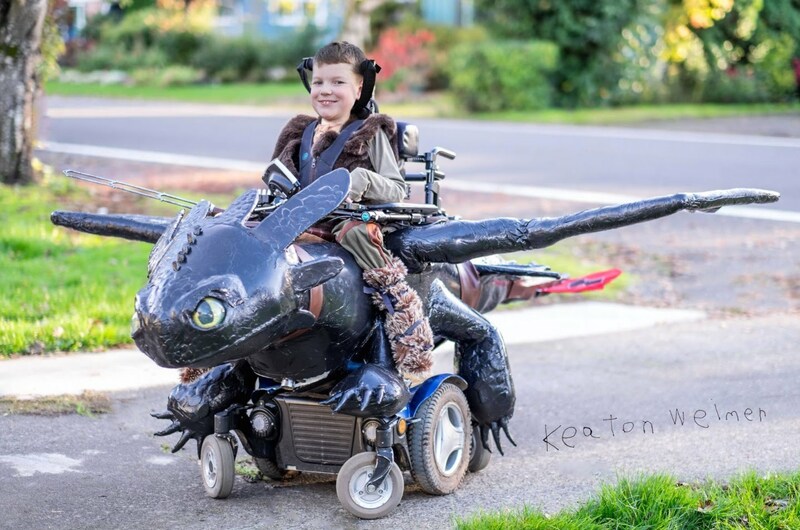 Magic Wheelchair is a nonprofit organization that makes epic fancy costumes for children in wheelchairs. Children choose what they want to be for the Carnival or Halloween and then the artists, technicians, designers-and volunteers at Magic Wheelchair make a custom fit costume for the child's specific wheelchair. many kids with disability/special needs or features, who enjoyed the use of a one-of-a-kind, custom-designed, unique mobility vehicle. The innovative wheelchair designs- collected by the organization and manufactured by its volunteers- combine beautiful artistry, toy design of high creative caliber and finally an educational and a joyful experience for the children- who are being involved by delivering their own ideas to the making process. Already applauded by the Media all around the World, Magic Wheelchair shows well the power of community, creativity and resourcefulness. It is worth far more than just admiration to their work as a team of makers- it is worth our commitment.